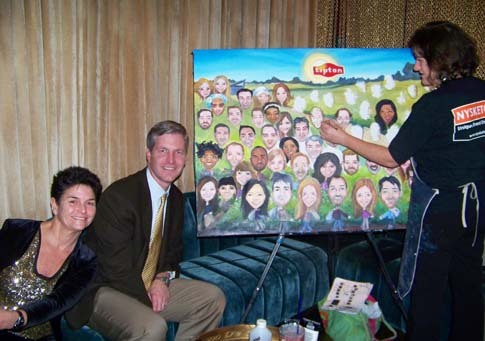 NYSketches painted an event mural for the team for the Pepsi/Lipton Partnership at their holiday party at Gold Bar NYC earlier this year. 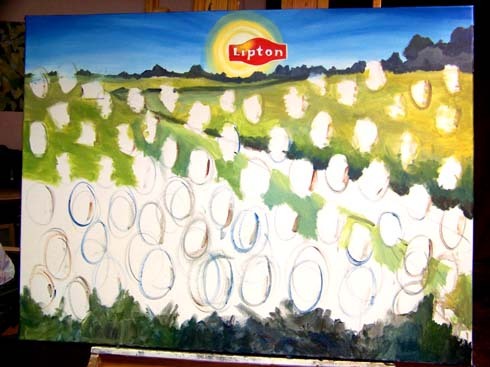 I painted about 70 faces, set in their tea plantation in Africa. Here is the final painting, which will hang in the company’s meeting room. More fun at the party! 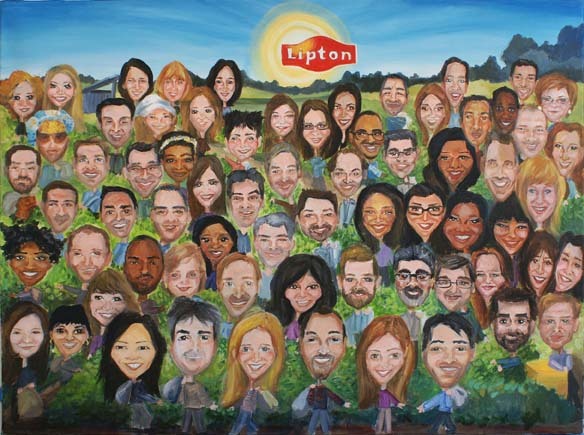 Entry filed under: event mural, Holiday Party, holiday party ideas, marketing events. 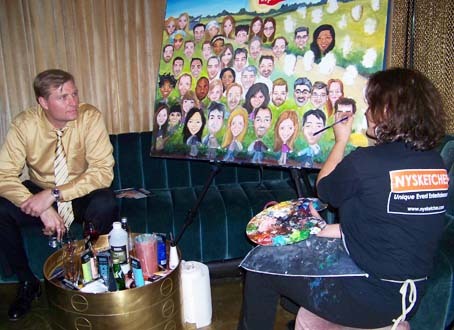 Tags: company outing, corporate event entertainment, event mural, Holiday Party, teambuilding events.